The important thing to note about these conversations is that they don't begin and end with our brand. They are natural conversations driven by cultural, social, and political factors – in other words, by people. That means, as brands, we have to behave like people. This isn't an opportunity to steer the conversation towards what you have to sell (unless it's reusable bags in this case!). Not every topic will be one we can contribute on (they should align with what our brand is about, with our industry, or with our offering) and that's OK. But if we are canny about it, we can insert ourselves into the conversation in a relevant and meaningful way, in order to shine a light on our brand. But how do we know which side of the debate to take? This is obviously important. You need to understand how the public (and particularly your customers) feel. You can show that you feel the same way and strengthen your affinity with them. Sticking with our topic of plastic bags, we can look at how New World were able to capitalise on the conversation. Just recently, conversations around the issues of plastic waste have tripled, indicating a growing momentum not just in media but also how much people care about it. It is currently talked about more than four times as much as the degradation of NZ water ways. It really does seem to be the number one ecological concern on peoples' minds right now. They timed their announcements around their own plans to end of plastic bag use very well. As well as encouraging this social change through their in-store activity, they also relied heavily on social media to spread the message. The post announcing New World was saying 'Bags Not' to single use plastic bags had a positive sentiment of 70% and was their most positively received post* of 2018. Through their social media activity, New World has boosted its overall brand positive sentiment by 45%! You need to be on the right side of the debate. Monitor the sentiment around the topic to see how people feel about it (and especially your customers) before joining in. If there is no clear sentiment, and the subject seems quite contentious, it's best to stay neutral or stay out of it altogether! Remember that these topics are driven by people, so keep it authentic and human. Monitor the topics that are gaining momentum, and get in early! Don't leave it too late to join the conversation. Make sure you are measuring the sentiment around your brand before, during, and after. Ensure you are being authentic. Only join the conversation when it's relevant for you to do so! That means not jumping over every trending topic, rather those where you can offer a unique insight or meaningful contribution, and where the viewpoint aligns with your brand values. People will recognise (and often call out) brands who are blatantly trying to leverage something that is trending on social for their own ends. While we're here ... have you thought about your plastic bag usage? 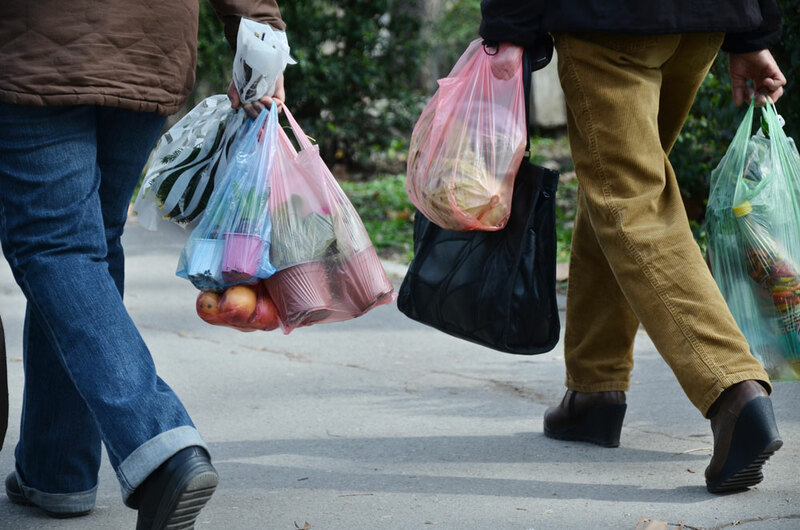 As a partner of Bags Not, Zavy encourages you to do your bit and go reusable! Here are 5 easy ways to do it.